Come to Induruwa for a Sri Lankan holiday that is packed full of authentic new experiences. Induruwa is a popular choice for visitors as it has so much to offer. You'll have stunning beaches as well as the calm waters of the Bentota river to enjoy a host of water sports. And with turtle hatcheries, markets and temples all in easy reach of the Pandanus Beach Resort and Spa, there's plenty to make this holiday one to remember. 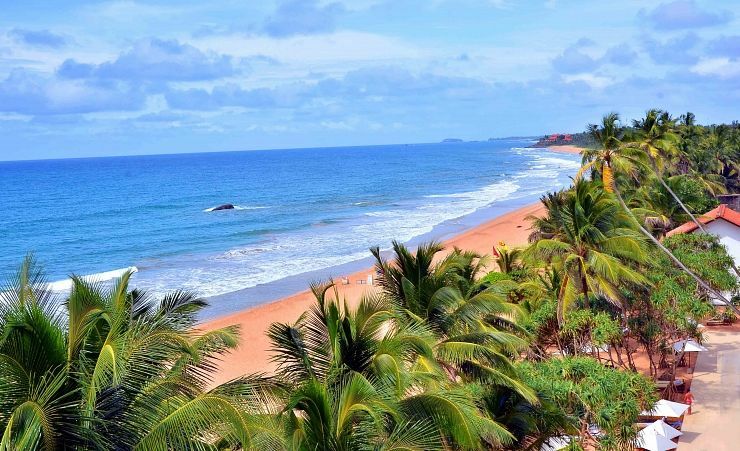 When you arrive at Pandanus Beach Resort and Spa you're sure to be impressed. Located right next to the crystal clear waters of the Indian Ocean with a secluded beach, you'll know you have finally arrived in paradise. Everything you need for a perfect holiday is here for you to enjoy at Pandanus Beach Resort and Spa. The wide, sandy beach at Yalagama, Induruwa will provide you with just the right environment to get you into holiday mode. 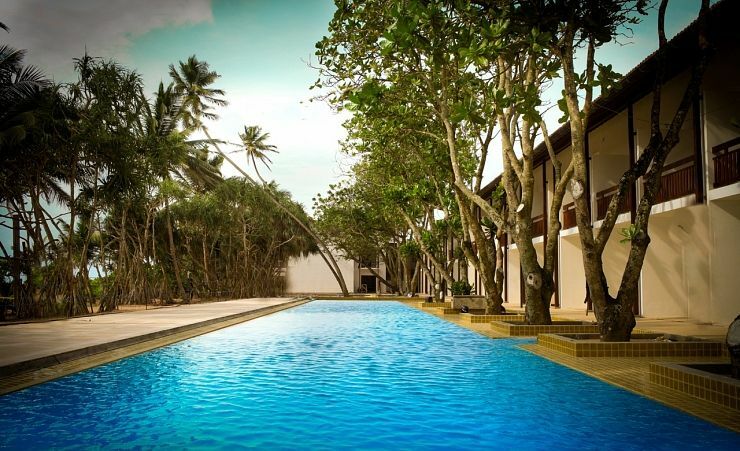 Clean and tastefully decorated, the Pandanus Beach Resort and Spa is a delightful place to stay and sample some of the best of Sri Lankan hospitality. All rooms have an en-suite bathroom and are fully air-conditioned. 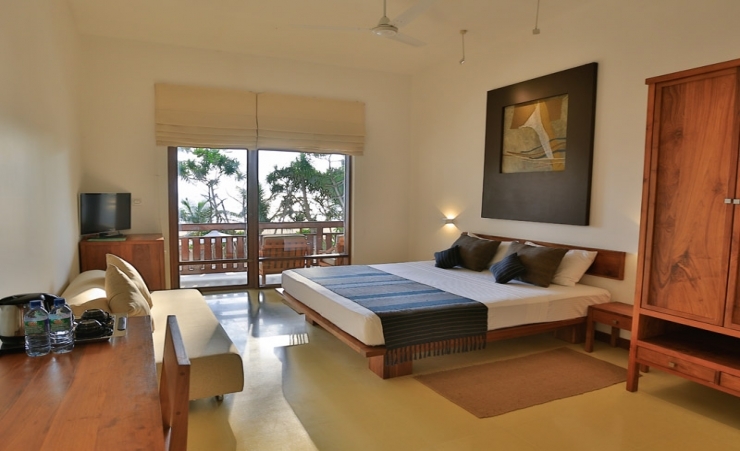 You will also enjoy a fantastic sea view from your own balcony or terrace. Amenities in all rooms include a TV with satellite channels, ceiling fan, tea/coffee making facilities, hairdryer, telephone, minibar and safe. Deluxe sea view rooms with Jacuzzi are available at a supplement. One of the best reasons to choose to stay at Pandanus Beach Resort and Spa is the fantastic Ayurveda centre offering a range of traditional health treatments. This is a brilliant way to partake in an authentic Sri Lankan experience whilst enjoying your holiday. 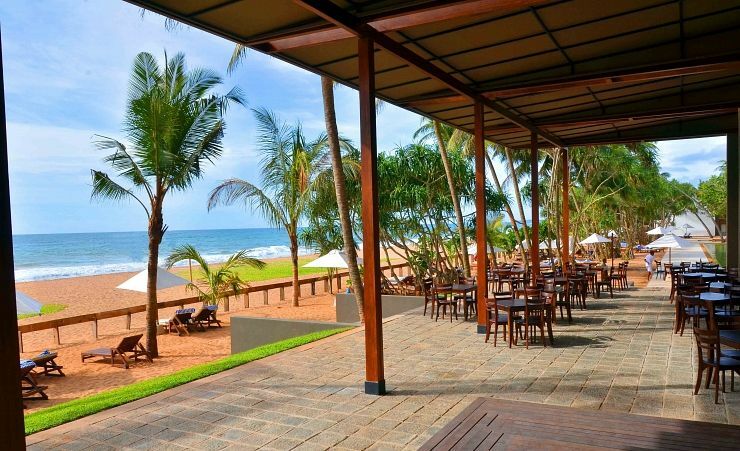 Pandanus Beach Resort and Spa is one of those magical holiday destinations that has to be seen to be believed. And seeing it from the Pandanus Beach Resort and Spa is one of the best ways to ensure a truly wonderful holiday to Sri Lanka. Breakfast, lunch & dinner served in the main restaurant or open air restaurant in the terrace (a la carte is available at a fee in the a la carte restaurant); snacks; selected local cocktails, local alcoholic & soft drinks (excluding wine & diet drinks). Time and measurement stipulations apply. Find out more about your accommodation and the in room facilities at the Pandanus Beach Resort and Spa . Step out onto the terrace or balcony of one of our 50 Superior Rooms to enjoy an amazing view of the beautiful Induruwa Beach. Let the soft lap of waves send you into a calm and relaxed state of mind. Throw your cares away and enjoy the luxury of one of the hotel's 24 well-appointed Deluxe Rooms. 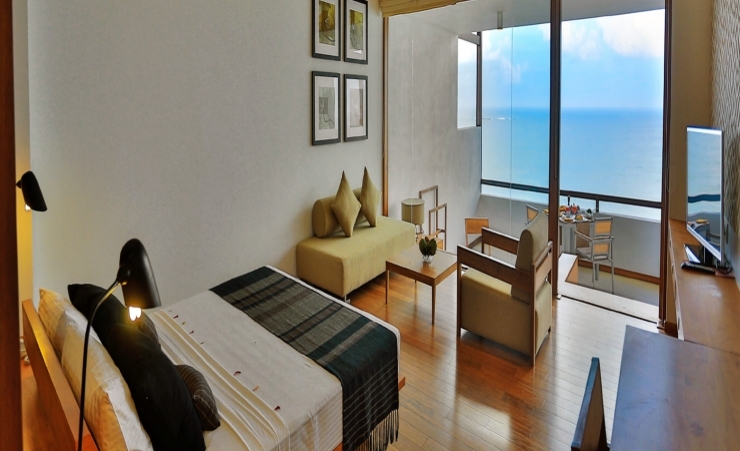 Blessed with a panoramic view of the sea, the rooms feature natural wooden flooring for a more luxurious feel. Transfer Time: approximately 120 minutes. All round fantastic holiday, food especially desserts were great. Great service all round, thank you Mercury holidays. Excellent hotel. Staff were very helpful. Food was very good with plenty of choice. My wife is wheelchair bound, the hotel staff were excellent at providing assistance to her. staff who always greeted you with a smile and couldn't do enough for you. room with a view to die for!! 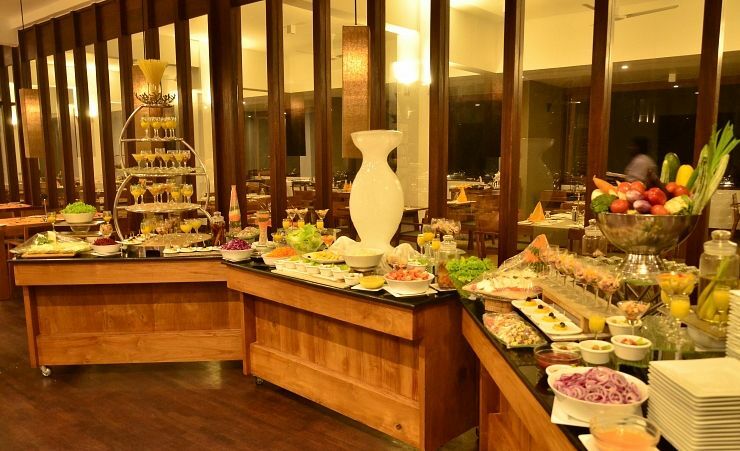 The food at this hotel was exceptional, such a fantastic choice and quality. Hotel in a super position, on the beach and a lovely pool. Evening entertainment could have been more varied. Staff very polite and accommodating. Worth noting you cannot go in the sea from March to September, very rough and dangerous currant. Beautiful views from hotel rooms, a truly lovely location. This Hotel is fantastic. Cannot fault anything. From the moment I walked through the door to the minute I almost had to be dragged out. Hiroshea is a fantastic Lady, so welcoming. That also goes for the rest of the staff. Nothing was too much trouble and such kind helpful people. I would return here tomorrow. The staff all have great senses of humour. The Head Chef and all his staff gave me some fantastic meals. Very friendly resort helpful staff and excellent service all round. All in all a very nice hotel. Staff were very pleasant and helpful. Room service, quick and efficient. Cleanliness, very good. Huge bathroom and balcony. Fresh towels daily and sheets changed at least 3 times whilst we were there. Staff were polite and always happy. The only thing II would of liked though in the hotel ladies wash room the option of hand paper/towels not the hot blower! Excellent hotel, Staff could not have been more helpful. Whilst buffet meals at all time there was more than sufficient choice for anyone with a mixture of western and Sri Lankan dishes. All freshly cooked. Varied salads, soups pastas, fish and vegetables along with a varied selection of curries. Rooms cleaned every day and staff always available to assist in any way. The staff were all very friendly and accommodating. The rooms were very good, kept very well by housekeeping. All members of staff were very welcoming and nothing was too much trouble for them. I have stayed at more than 20 hotels in Sri Lanka over the past 20 years - Pandanus is in the top 3 for food quality and variety. My friend who shared this holiday Lynda Cheesebrough was a frequent traveler with your company. Because of her we used Mercury.we had a wonderful holiday. My only suggestion is more entertainment in the evening. We are considering using Mercury for next year and possible retuning to Sri Lanka. We had been here before years ago when it was called Emerald Bay so it had been greatly upgraded, much smarter and better facilities. For us it was perfect as I was recovering from a dislocated shoulder and it turned out to be the perfect choice. Staff were all marvellous, rooms fine and cleaned well, Food was terrific freshly cooked and always a good choice to select every day. The pool was perfect for my physiotherapy exercises. I long to go back. Fabulous hotel with stunning views of the beach & ocean, staff were the best, nothing too much trouble, our room boy went to great lenghths to keep our room clean & tidy & always had time to say a cheery hello & a chat. Could not fault anything at the hotel. 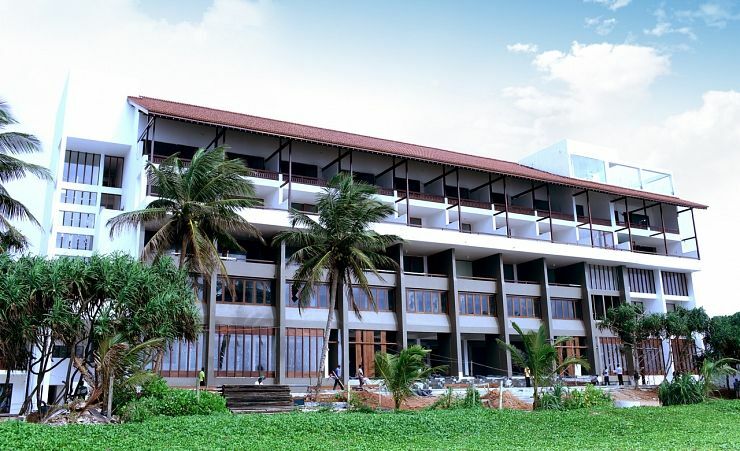 Pandanus hotel in our opinion was and is, a pleasant hotel to stay in. 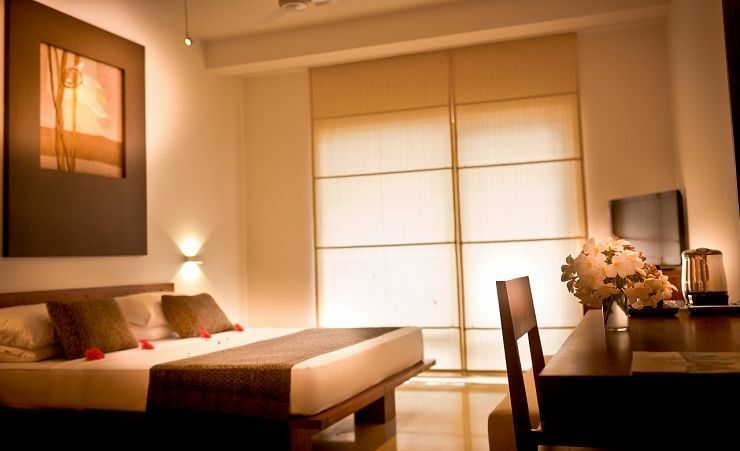 The staff was most friendly and obliging in making our stay a happy and rememberable one. The only downside is that it was a very long road travel journey to get there from Columbo Airport, having already undergone an epic flight journey, taking us 27 hours in total from leaving the UK to are final destination, not helped by the 9 hours wait in Dubai due to Columbo undergoing runway repair work. Extremely satisfied. Deluxe room fantastic. Very relaxing holiday. Everything that it says it is. The whole hotel was kept to a very high standard and the staff were extremely pleasant and couldn't do enough for guests. The food was excellent with plenty of variety of western and Indian cuisine. Our room overlooked the pool and the unspoilt beach. The Mercury Holidays hotel pictures do not do justice to the hotel and its location. The resort rep was very knowledgeable and 2 of the 3 excursions we went on were excellent. Best holiday we have had. Perfect for my 60th birthday. A lovely holiday in a stunning location, and very good value for money. It was a lovely hotel and we enjoyed our stay. I would complement the staff there who were always polite and ready to help. The only negative comment I would make is the all inclusive drinks package were disappointing. The local gin was undrinkable and the cocktails were just put in a plain glass and had the bear minimum in - they could do very nice cocktails if you paid!! Also there is no wine included even at meal times, this was the only thing that let the hotel down. We would like to take this opportunity to thank Gonia and the wonderful team at Mercury Holidays that booked our holiday to the Pandanus Beach Resort, Yalagama. in Sri Lanka. The hotel that you recommended was without doubt, one of the nicest and most comfortable we have visited, the staff were so friendly and helpful, the meals were of a very good standard also the rooms were very clean and spacious if that was not enough after a few day we were moved to a suite which my wife and I thought were amazing. So once again Mercury Holidays have made our holidays very special. We look forward to our next trip which we are sure will be another wonderful experience. Thank you once again. PS. we would and have recommended Mercury Holidays to all our friends. The hotel is right next to the ocean. Everywhere is very clean and the staff are all very polite and friendly. Sunil, the barman, was particularly lovely. The rooftop bar was closed whilst we were there due to the weather (cyclone) but the main bar next to reception was very pleasant, although we were often the only two people in it! Hotel excellent. Rooms good and well cleaned. Food good. Some hotel staff keen to know when we were leaving assumed to be looking for a tip. Beach close to hotel, needs to be tidied. The staff made our stay special, they could not do enough for us. After four days we were approached by the hotel and asked if we could do them a favour and vacate our room as they were heavily booked accepting an upgrade to one of their Superior Rooms if we were happy to do so. The room that we had, therefore, for the majority of the holiday was absolutely superb. Whilst our original room was fine comments made in this report refer to the upgraded room which was amazing. very nice hotel,the food was outstanding,great choice and variety,all the staff were polite and friendly,highly recommend this hotel to others. Beautiful Hotel, spotlessly clean, amazing service from well trained friendly competent staff. Lovely hotel fantastic stay everything great would recommend to anyone.